Education: What Happens When Half a Community Loses its Education for Five Years? Kristen Green has worked for two decades as a journalist at newspapers including The San Diego Union-Tribune and the Boston Globe. In 2012, she was recognized by Media General for excellent local news writing at the Richmond Times-Dispatch. She has been awarded the Best of Gannett Outstanding Achievement in Writing, and her work has been recognized by the San Diego Society of Professional Journalists and the National Headliner Awards. She is a graduate of University of Mary Washington and has a Master in Public Administration from Harvard Kennedy School. Her first book, Something Must Be Done About Prince Edward County (Harper), was published in June 2015 to critical acclaim. It has been recommended by O Magazine, Essence, Southern Living, the New York Post, and the Boston Globe. It is a New York Times editors’ choice, a New York Times bestseller in Race and Civil Rights and a Southern Indie Best seller. The New York Times called it “essential reading” and the Washington Post termed it “a gift to a new generation of readers.” Something Must Be Done About Prince Edward County has been selected as the common read at University of Mary Washington, Elon University, and Winthrop University. Green has addressed audiences large and small. She is able to tailor her presentation to a variety of groups and can relate to topics for academic settings, Civil Rights Museums, Historical Societies, Women’s Clubs, and Service Groups. 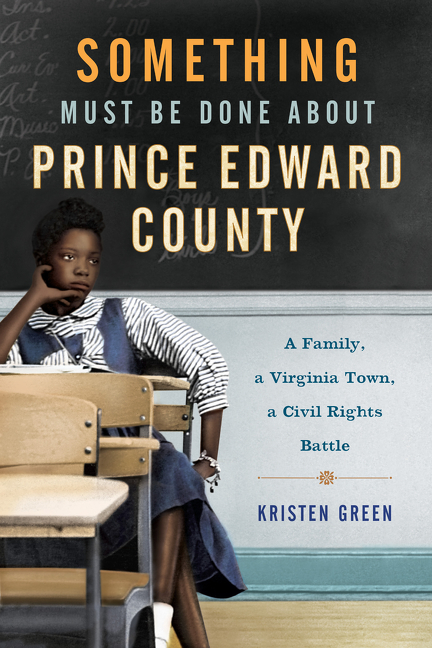 Green grew up in Prince Edward County, the only community in the nation to close its schools for five years rather than desegregate. In the wake of the Supreme Court’s unanimous Brown v. Board of Education decision, the Virginia county refused to obey the law. Rather than desegregate, the community closed its public schools, locking and chaining the doors. White leaders quickly established a private academy, commandeering supplies from the shuttered public schools to use in their all-white classrooms. Meanwhile, black parents had few options: keep their kids at home, move across county lines, or send them to live with relatives in other states. Green attended the segregation academy, which did not admit black students until 1986, when she was entering eighth grade. In her journey to uncover what happened in her hometown before she was born, Green tells the stories of families divided by the school closures and of 1,700 black children denied an education. As she peels back the layers of this haunting period in our nation’s past, her own family’s role—no less complex and painful—comes to light. Green lives in Richmond, Va. with her husband, Jason Hamilton, and their two young daughters, Amaya and Selma. She is a fellow with the Virginia Humanities and is writer-in-residence at the Library of Virginia, where she is working on her next book. "Working with Kristen Green was delightful. From the moment she arrived, Kristen engaged our audience with grace and poise. In her writing, Kristen covers hard truths about the shameful actions of some and highlights the achievements of many who said no to inequality. With a frank recognition of the need to bring these injustices to light, as a speaker Kristen gave thoughtful testimony to her discoveries and was welcoming to all questions and comments. Friendly and real, Kristen Green offered our audience a genuine presence upon arrival, during her talk, and throughout her book signing. Kristen was terrific!" 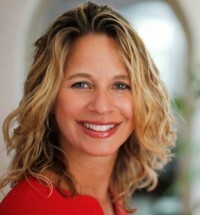 "Kristen Green is an electrifying speaker. Her stories are riveting and she quickly transports her audience right back into the tense and exciting moments of her discoveries of egregious and heroic acts alike. Members of our audience were so moved that there were proclamations regarding the need for everyone in a community to take responsibility for creating positive social change." "During her visit to campus, Kristen Green not only put a warm, approachable face behind her memoir but again and again prompted students to mull over some of the most central issues of identity. In all of her interactions, whether with students, faculty, and the members of the community who flocked to the presentation, Green revealed herself a deft educator, one able to foster these considerations in an arena of respect, sensitivity, and intelligence. Our academic community is a better place because of her return to campus." "The decision to write the book took guts, because Green knew she would be publicly castigating not only her grandparents, but other relatives and friends, as well…. Her involvement in the shameful history of Prince Edward County provides the book with an emotional edge not easily forgotten."